WHICH is the most blessed nation in the world? Is the Lord the God of our nation? How can we be a blessed nation? 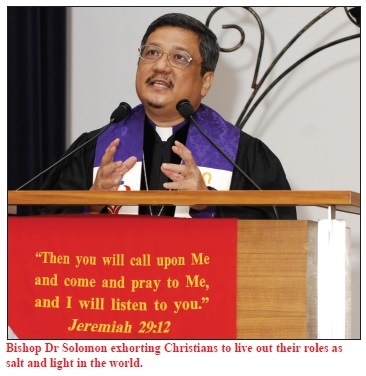 These questions were raised in a sermon preached by Bishop Dr Robert Solomon to a rapt congregation at the St Andrew’s Cathedral on the evening of Aug 16, 2007. 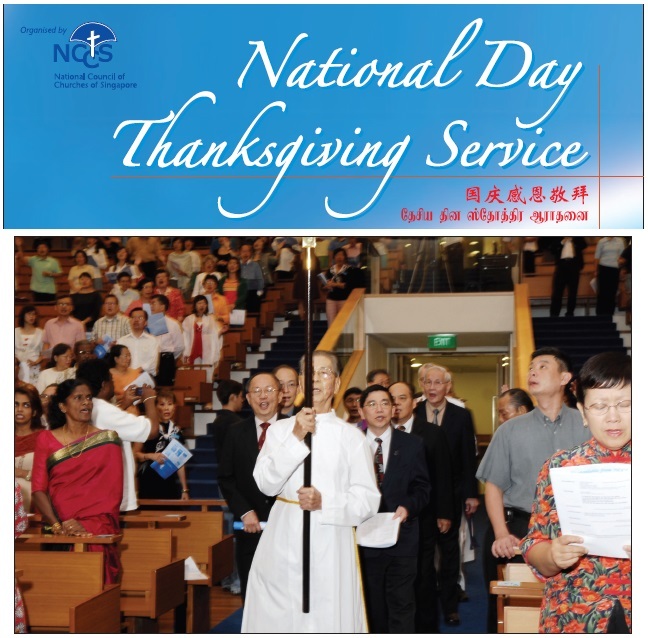 The questions could not be more appropriate, for the occasion being observed was the National Day Thanksgiving Service organised by the National Council of Churches of Singapore (NCCS) to commemorate Singapore’s 42nd year of nationhood. Quoting Psalm 33:12, Bishop Dr Solomon began by declaring his key point, “The nation that is blessed is the one whose God is the Lord!” To which someone in the back pew uttered a spontaneous but distinct Amen! The Bishop, who is the President of the NCCS, went on to challenge the church at large to put its house in order. He exhorted the church to “make that “they reflect the holiness and love of God”. 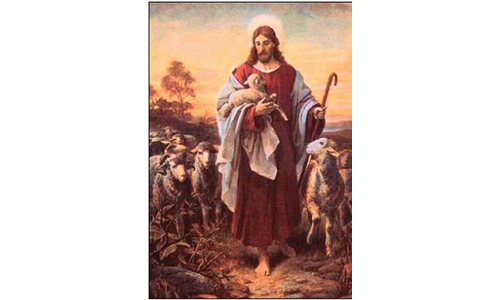 If the church was so characterised, he believed “in some way, the nation would be blessed”. 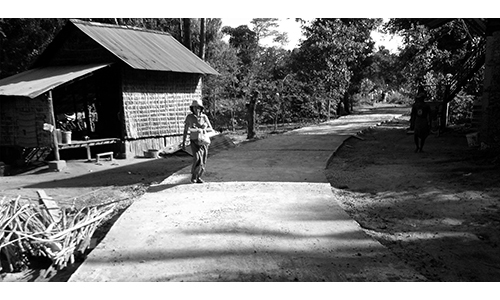 • ENGAGE with the other religious communities; be open to cooperate with them. The Bishop said: “Our challenge is to be the kind of church that will bring glory to God by reflecting His character of holiness and love. We can also share God’s holiness and love in our society as we live out our roles as salt and light in the world. The thanksgiving service brought together bishops, clergy and leaders from the Anglican, Assemblies of God, Baptist, Evangelical Free, Lutheran, Methodist, Presbyterian, and Salvation Army denominations, to name the major ones. Representatives from the Evangelical Fellowship of Singapore, LoveSingapore and the Bible Society of Singapore were also present. Musicians and groups from a number of churches rendered praises and anthems. What a show of unity! As in previous years, a number of Christian Members of Parliament were in attendance. This year, three came, including two ministers of state. A member of the congregation, reflecting on the service, spoke to this writer during the tea reception. 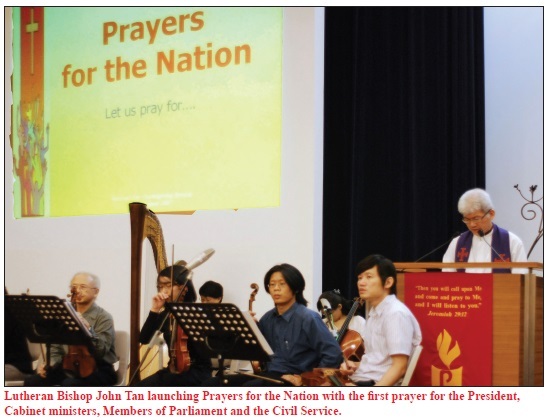 She suggested, “Why not make it compulsory for every church in Singapore to be represented at next year’s thanksgiving service?” Yes, indeed, why not? 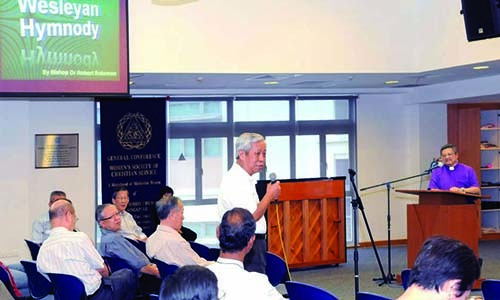 Lim K Tham is the General Secretary of the National Council of Churches of Singapore.